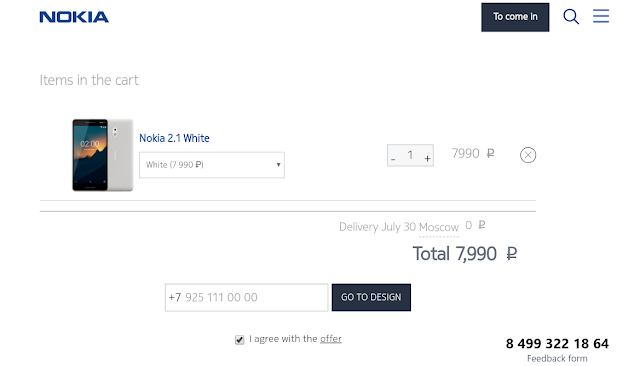 Nokia 2.1 was launched in May and it took quite some time to go on sale/Pre-Order and Russia will be the 1st market to get the Nokia 2.1. 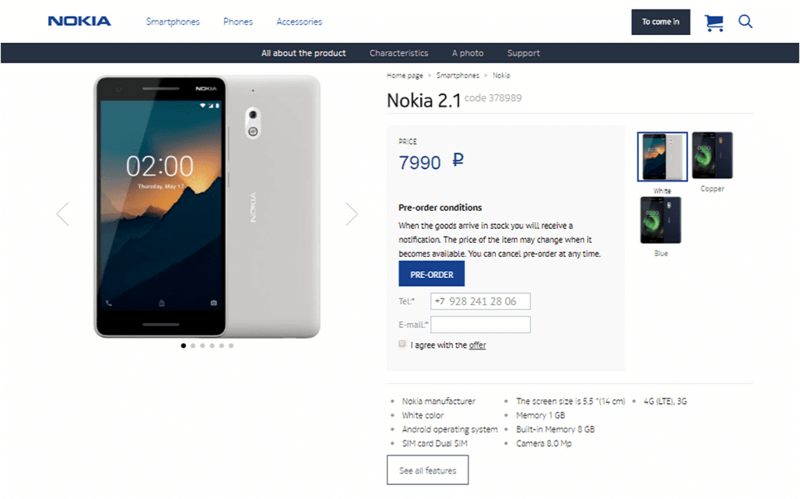 Nokia Mobile has finally started accepting the Pre-Orders for the Nokia 2.1 in Russia on their Official Nokia Mobile Online Shop. Nokia 2.1 is priced at 7990 Russian Rubles or around $125 USD and the deliveries will begin from 30th July onwards which is just ten days from now. 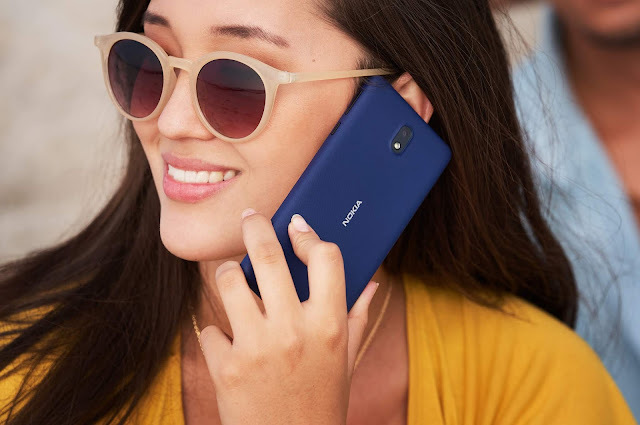 You can Pre-Order the Nokia 2.1 in any of the three colors namely Blue/Copper, Blue/Silver and Grey/Silver. Here is a short summary of Nokia 2.1 specs. Nokia 2.1 is the second Android Go smartphone from Nokia Mobile and is the successor to the not so old Nokia 2. The phone is powered by a Snapdragon 425 processor and has 1 GB RAM. The main highlight of this phone is its HUGE 4000mAh battery, Dual Front firing Speakers and a BIG 5.5" HD Display and hence this device can be a good option for 1st-time smartphone buyers and can also be a good secondary device. Check out the complete Specifications and Features of Nokia 2.1 by clicking here.